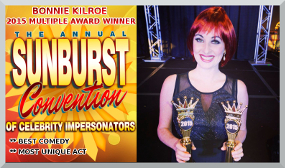 Welcome to Bonnie Kilroe's Celebrity Imposters Home Page! 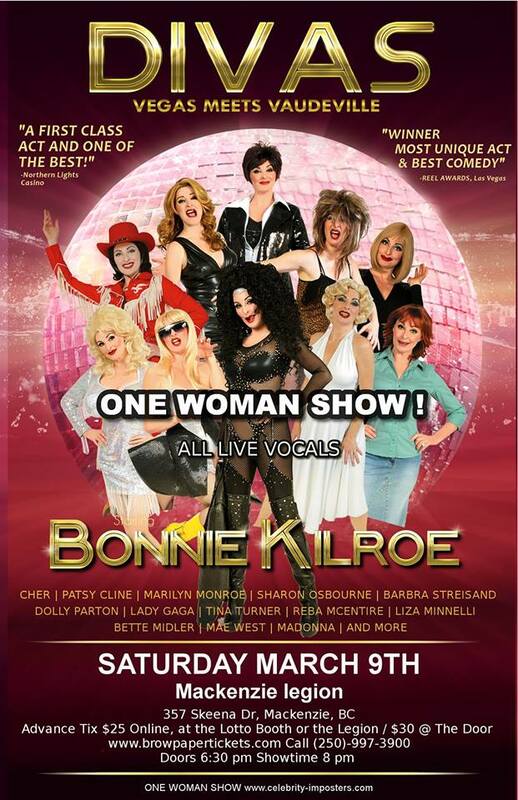 5 March 2019—Shows in central BC! I'm excited to be heading up to the Prince George, and surrounding, area for shows on the weekend of March 8th through 10th. 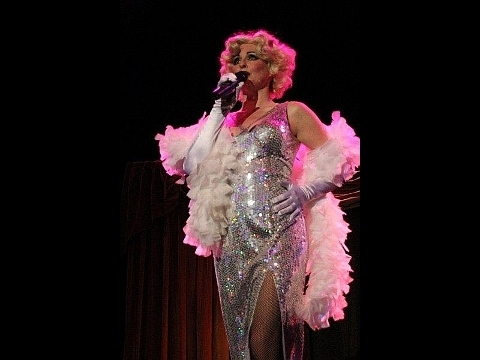 I'll be performing my DIVAS: Vegas meets Vaudeville show in Prince George on Friday, March 8th, and in Mckenzie on Saturday, March 9th. 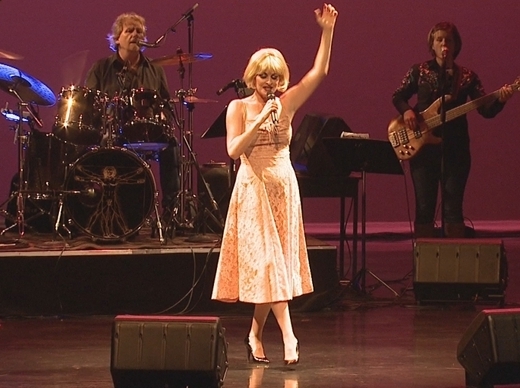 Then we'll be off to Quesnel, BC for the Patsy Cline tribue show on Sunday, March 10th. So, if you live in any of these cities (or close enough to get there) please come on out. I guarantee that you'll be entertained and enjoy a brand of entertainment that is unique. 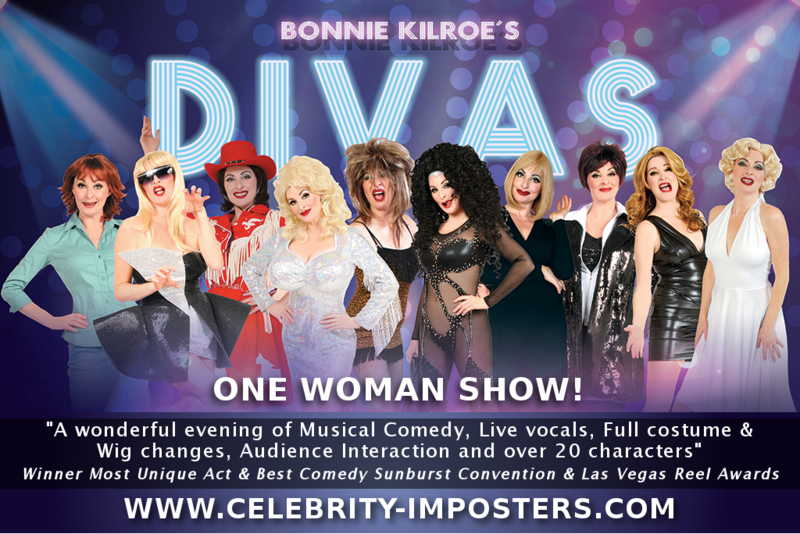 For more informatiopn regarding show times, venues, and tickets, please click on this link for my calendar page. 10 January 2019—Shows in Mexico! Hola, everyone! I'm here in the beautiful (and hot and sunny) city of Puerto Vallarta, Mexico, where I'll be mixing a bit of pleasure with work. 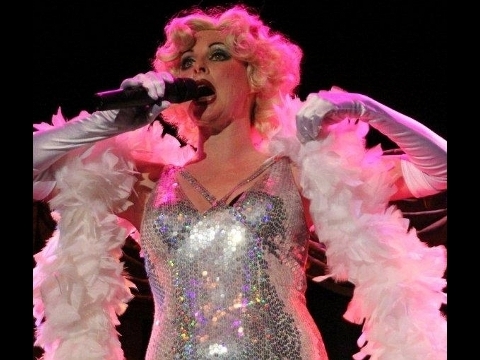 I've got a few shows booked at the Palm Cabaret in the old part of town, where I'll be performing my Country Queens show. 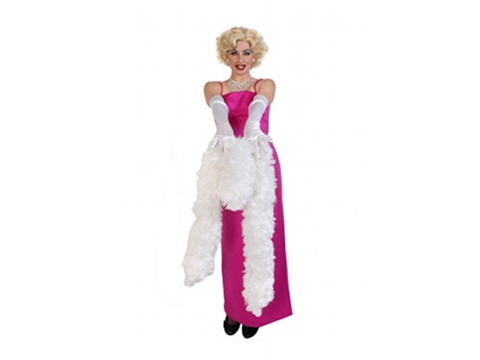 Click here for more information about the show and to find out about the Palm Cabaret itself. Come out and enjoy your country music with your cervezas and margaritas! 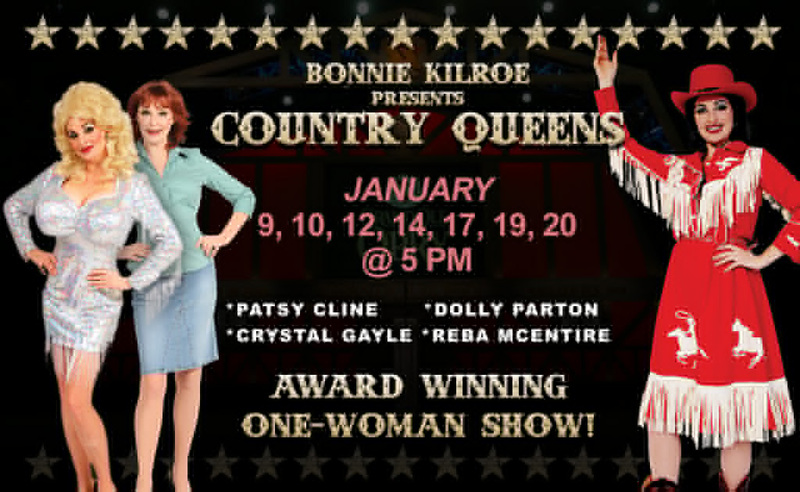 I'll be off to Ajijic (a beautiful resort between Puerto Vallarta and Guadalajara) in late January to perform Country Queens as well. 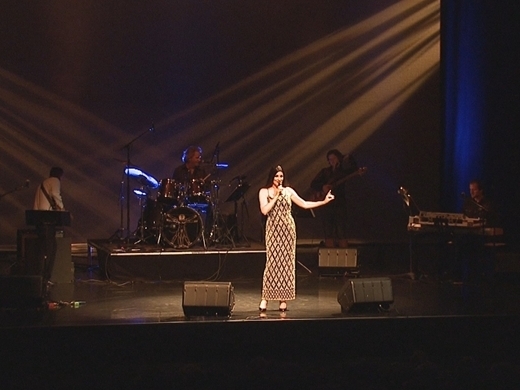 Have a look at the calendar page on this website for more information about show dates and times. Click for older blog posts! 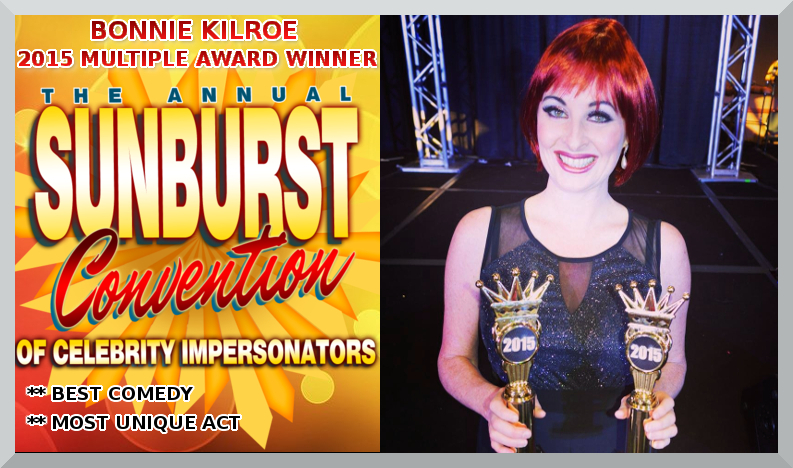 Welcome to the home page of the multi-talented and award-winning entertainer Bonnie Kilroe's Celebrity Imposters website! 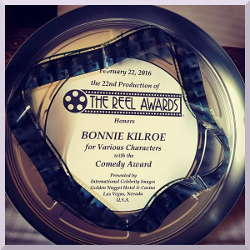 You may find it hard to believe, but every single character on this website is brought to life by Bonnie herself! 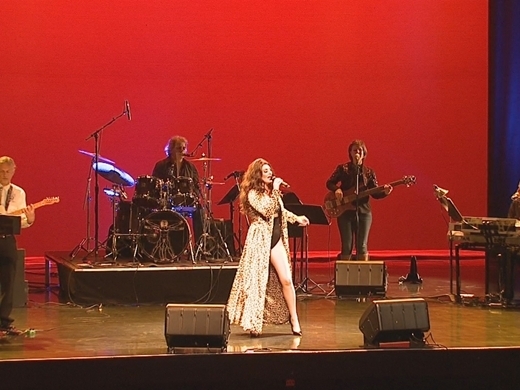 You'll be able to find all of the information you seek and need in order to understand what kinds of shows and performances Bonnie is able to deliver. 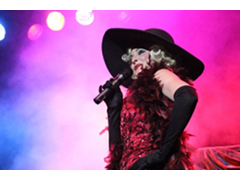 To see a schedule of upcoming show dates, either click the calendar link in the grey menu bar above, or click here. The drop-down menu bar above has a direct link to every page of this website. 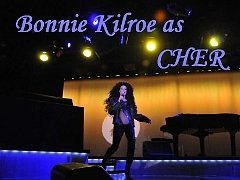 You can click on the Shows Menu link for an overview of the many different shows Bonnie has to offer, or select one of the drop-down choices to go directly to a specific show. There are areas of this website dedicated to displaying character descriptions (with slideshows) and character photos and videos. 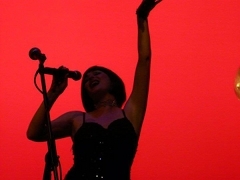 This website also has areas devoted to client testimonials and press and media coverage of Bonnie and her performances. The top of every page has links to Bonnie's Facebook page, YouTube page and Twitter account (though we've also put those links to the right here on the home page). So, if you're interested in perusing those media sources and/or contacting Bonnie via these sources, click on the appropriate links at the top of the page. 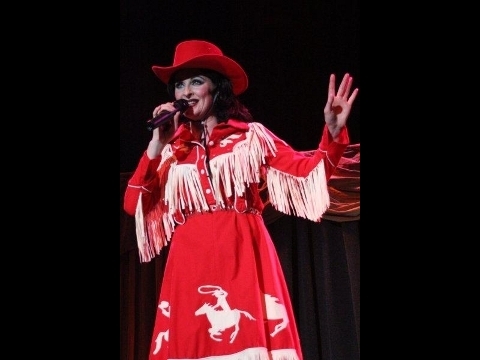 If you have any comments or questions, just want to say "hi" (or "howdy"), or you've seen one of Bonnie's shows and want to let others know about how great it was then please leave a message for Bonnie at the contact page. 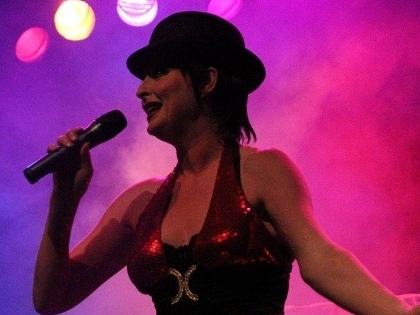 Enjoy the site and Bonnie's shows!